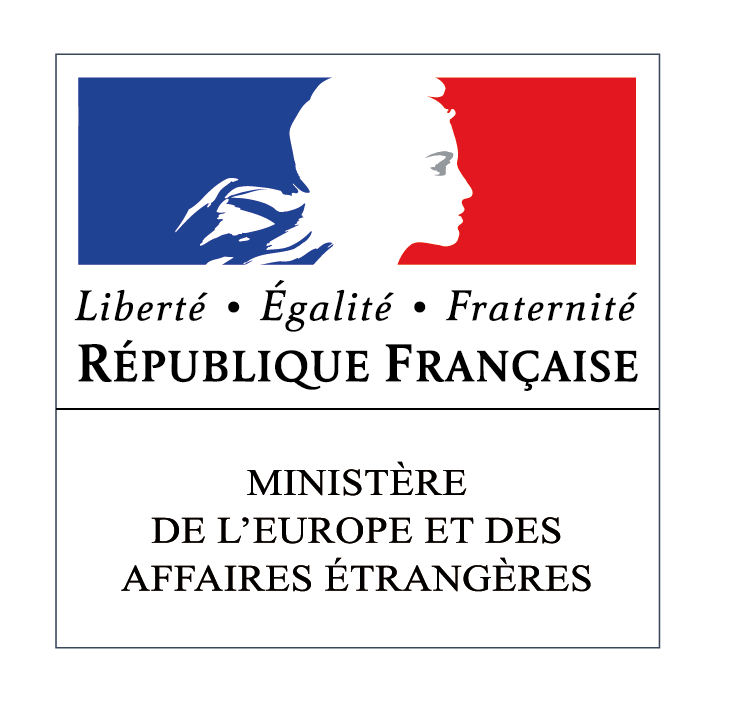 - define and implement France’s tourism attractiveness policy. - provide security and administrative services for French nationals abroad. . The MEAE is supported by a network of 182 ambassadors and 89 consuls abroad, which work in constant collaboration with the central administration in Paris and Nantes. - Encourage the development and the promotion of destination brands (and that of individual companies) on an international level. Thanks to its 33 offices across the world and a close collaboration with the Embassies, the Agency boasts an in-depth knowledge of the different tourist markets and their various distributors. This expertise allows it to provide its 1,300 trade partners with tools on demand to help them better understand the industry and to carry out marketing and promotional operations based around destination brands. In 2019, Provence will be the foremost destination for gastronomy and as such will be promoted at Goût de / Good France events both in France and internationally. For the first time, the Bouches-du-Rhône department and Provence Tourisme are launching Marseille Provence Gastronomie 2019 (MPG2019), a year of gastronomy in Provence under the patronage of renowned French chef Gérald Passedat. It will be a year of celebrations, meetings between chefs, gourmet markets, picnics, urban vegetable gardens and more — a genuine gastronomic journey through Provence!. The Collège Culinaire de France, founded by 15 internationally renowned French chefs, aims to promote the quality of the catering industry and actively contribute to the global influence of French cuisine. The mission of the association is to represent, promote and transmit the identity of cuisine in France, as well as its diversity, traditions and capacity for innovation. The ambition of the Collège Culinaire de France is to affirm the dynamics, image and reality of gastronomy and contribute actively to its dynamism. In order to boost France’s attractiveness abroad, the Collège Culinaire de France defends the restaurant trade on a daily basis and highlights the impact of high-quality restaurants from a social, economic, cultural, tourism and health perspective. For this reason, in 2013 the Collège Culinaire de France launched the “Restaurant de Qualité” label, which has now been awarded to over 1,500 restaurants throughout France run by passionate entrepreneurs who share the values defended by the association. This launch was followed in January 2015 by that of the label “quality artisan producer”, currently held by 550 producers, artisans and winemakers, as quality food requires quality ingredients. The three stations accord a special place to French art de vivre and culture. In addition to many subjects covered in news reports, regular cultural programmes are also offered on France 24 such as “Vous êtes ici” (You Are Here), “French Connection” and “Paris Secret” (Secret Paris), and on RFI “Le goût du monde” (The Flavour of the World), “Si loin, si proche” (So Far Yet So Close) and “Sound Kitchen”, and MCD “Voyage en France” (A Journey in France) and “Café Chaud” (Hot Coffee). As such, gastronomy and the arts of the table have a great place on all three stations, which are delighted to support this new edition of Goût de/Good France. Present in nearly 200 countries and regions, broadcast round the clock into 318 million connected homes, TV5MONDE offers multifaceted coverage of international news as well as a wide range of programmes (films, drama, documentaries, entertainment, magazines, music, children’s programmes, sports, shows, etc.) usually subtitled in 14 languages. The world leader in the dissemination of French culture, TV5MONDE gives the art of living, and especially gastronomy, pride of place across all its channels, with shows such as Epicerie fine, hosted by Michelin-starred chef Guy Martin, Goûtez-voir on France 3, and Les Escapades de Petitrenaud on France 5. On 8 April 2015, the company launched TV5MONDE Style, a channel dedicated to the promotion, exhibition and dissemination of ‘Made in France’ know-how, talent and resources, aimed at audiences in the Asia-Pacific region and the Middle East, and more recently Africa. As part of Goût de France/Good France, of which it is a partner, TV5MONDE Style will broadcast Good France (a Compagnie du Belvédère production), which will put the spotlight on one chef and one restaurant in France and abroad, to share and promote French cuisine across the world. TV5MONDE will also promote the 21 March event heavily in its programmes and on its social media. A key supplier for France’s gastronomic excellence. The Rungis International Market is a key player in the French agrifood sectors and the preferred supplier of the key artisans of France’s culinary excellence.It has a legitimate, renowned role in the world of gastronomy thanks to the diversity and quality of its products and the skill of its professionals. It is situated 7 km from Paris, and in 45 years has become the leading wholesale market for fresh products worldwide. This unique location, offering products from around the world, owes its renown to the products of France’s regions, whose quality supports France’s gastronomic reputation. Rungis offers the widest range of Controlled Denomination of Origin, Protected Denomination of Origin, Protected Geographical Indication and label rouge products, not to mention the organic range which is growing fast. Moreover, as a “wholesaler for independent traders”, Rungis also promotes the values of proximity and passing on, guaranteeing the survival of a dynamic local food retail sector in city centres – shops and markets – and contributing to the variety of distribution formats. JCDecaux is the number 1 outdoor advertising company in the world, present in 4,280 cities with more than 10,000 inhabitants and more than 75 countries, and plays a key role in transforming urban environments. It all started in 1964 when Jean-Claude Decaux put up the first adverts on bus shelters in Lyon, inspired by his wish to improve the aesthetic of cities by installing urban furniture free of charge in exchange for exclusive use of its advertising potential in choice locations. For over 50 years, the products and services offered to cities by JCDecaux are considered to be a benchmark in terms of quality, aesthetics and functionality. The expertise of the personnel of JCDecaux and the quality of its services, notably in upkeep and maintenance, which is recognized globally by cities, airport authorities, other transport bodies and advertisers, contribute to France’s image abroad. JCDecaux is proud to be involved in Goût de France / Good France and participate in the global renown of France’s gastronomy, which is a national emblem. Sarrade is an ancestral brand, specialist in top quality products since 1850. Sarrade is passionate about creating exceptional products that make everyday life easier for Chefs. Committed to preserving and sharing the secrets of fine French cuisine, Sarrade offers a range of foie gras and duck meat recipes from ducks born, raised and prepared in France. Working in the heart of the terroir and bolstered by its ties to the Maïsadour cooperative group. Sarrade works hand in hand with its member farmers to guarantee indisputable quality and the full traceability of its products. Its gourmet range also includes other key catering products such as Bayonne Ham. This iconic speciality of the Basque Country is PGI-certified and the fruit of regional expertise passed on from generation to generation. La Plucherie by Invivo: Plant delicacies on demand. At La Plucherie by InVivo, we combine the expertise of French agriculture with gastronomic excellence. We create new, refined, rare, or bold flavours to meet the demands of chefs as they prepare their unique aromatic delicacies throughout the year. Our catalogue includes aromatic herbs, leafy vegetables, microgreens and edible flowers sourced from untreated, hyper-local agriculture (pesticide-free). We can also grow customized varieties upon request. Our produce is either delivered fresh or hand-picked on the day. At la Plucherie by InVivo, we nurture each plant to release exceptional flavours. Les Collectionneurs brings together restaurant owners, hoteliers and travellers with a taste for adventure. Curiosity, rigorous standards and generosity are the values on which the community is based. In 2018, Les Collectionneurs selected 585 restaurants and hotels in Europe, run by restaurant owners and hoteliers who are constantly attuned to travellers’ needs. Whether through unique, authentic, creative, simple, invigorating, light or adventurous cuisine, the gastronomy in the restaurants selected by Les Collectionneurs is renowned for its originality and expert preparation. Collectionneurs restaurant owners work with growers from their regions on a daily basis, most of whom have their own vegetable gardens, or even hand-pick produce in their local environment. Their shared goal is to showcase local produce, particularly by naming the growers on their menus. Although they innovate like true culinary craftspeople, they never lose sight of the knowledge gained from their peers, or passed down from generation to generation in the family kitchen. By following these traditions, they serve up cuisine which enhances the produce and is in tune with nature and the seasons. With kitchens opening onto dining areas or which any diner can ask to visit, for Les Collectionneurs, transparency and taste go very much hand in hand. The world leader in luxury expedition cruises and the only French-owned cruise line, PONANT was founded in 1988 by Jean Emmanuel Sauvée and a dozen Merchant Navy officers. For 30 years now, PONANT has proudly flown the French flag and been an ambassador of the French art of living across the seven seas. Reflected in the intimate atmosphere, the refined gastronomy and the first-rate service, this “French touch” has pride of place aboard PONANT ships. Our on-board chefs make it their mission to share their passion for this culinary heritage. The International Village of Gastronomy brings together cuisines from all over the world. It brings together peoples and gives rise to a mixing of cuisines and cultures. It is a place to experience the traditions of these countries. With the participation of French and foreign chefs, this event invites you to travel and discover your country through the kitchen door. As the world’s leading tourist destination, Paris attracts tourists through its classical heritage and trendy spirit. The Paris Convention and Visitors Bureau provides you with the keys to the capital. The Paris Convention and Visitors Bureau was created in 1971 at the joint initiative of the City of Paris and the Paris Chamber of Commerce and Industry. Its mission is to welcome and inform visitors, to promote the advantages of the capital, in both France and abroad, and to support Parisian tourism professionals. With 4.7 million tonnes of fresh foodstuffs distributed every year to over 45 million consumers with its daily services, France’s wholesale markets or Marchés de Gros are key players in providing local and diverse produce. The French federation of wholesale markets has 23 markets across France which are the leading French hubs for the provision of local products from 4,500 producers and 2,500 vendors. The Marché d’Intérêt National MARSEILLE PROVENCE is a key player in providing fresh produce in metropolitan France. Over 300 agricultural producers and 100 vendors at the market offer a range of high-quality, super fresh, traceable products of local, regional, national and international origin. M.I.N. MARSEILLE PROVENCE is a hub for products, professions and passions which deserve to be recognized and showcased. The Marché d’Intérêt National of CHATEAURENARD – PROVENCE lies at the heart of France’s biggest fruit and vegetable producing area and is the point of sale and distribution for Provence’s agricultural production. Over 1,000 registered local producers come to the M.I.N to sell a wide range of Provence produce throughout the year to buyers ranging from local shops to corporate purchasing bodies and exporters. The M.I.N CHATEAURENARD – PROVENCE enables professionals to source in-season produce with guaranteed flavour and freshness on a daily basis. Barrière has a taste for all senses: sight (prestigious hotel and casino sites, without forgetting cinema, of course), hearing (music and concerts), smell (fresh-cut grass on the greens of its golf courses and the smell of the sea and mountain air), touch (wellness and spas), and, of course, taste (the Les Tables Barrière restaurants). Barrière has some 120 restaurants with a taste for taste. Participating in the 2019 Goût de France Good France event, created five year ago to showcase the talent – and creative genius – of French chefs and their teams, is a matter of course and pride for the group’s Chairman, Dominique Desseigne. Desseigne welcomes this event designed to provide an international showcase for French gastronomy: “Gastronomy is much more than an art de vivre. It is an art in its own right. It is legitimate and useful to make this art accessible to as many as possible.” Useful for promoting the creativity and energy of a prestigious profession, and promoting French food tourism abroad (as well as within France). This is why the Tables Barrière restaurants and bars wish to be included in this year’s Goût de France event. TOGETHER; let’s share, let’s imagine, let’s determine the future of our profession. GNI-SYNHORCAT is a professional organization committed to defending the interests of the profession and its members. GNI-SYNHORCAT represents its members, professionals from the café, hotel, restaurant, catering and night club industries, from the smallest to the most prestigious and works to defend the interests of these businesses with strength and determination both on a national and European level while supporting them in their day-to-day activity and development. Euro-Toques, European culinary artisans working for healthy food. For 30 years now, the Euro-Toques association created in 1986 by Pierre Romeyer and Paul Bocuse, was launched to safeguard and promote high-quality, local produce within its European network of chefs and within the Executive Commission in Brussels, and particularly the Directorate General of Agriculture and for Health and Consumer Protection. Once a year, upon the invitation of the Chair of the European Parliament Agriculture Commission, Euro-Toques has the privilege of speaking before MEPs about the profession’s major issues of the moment. Euro-Toques therefore acts as a genuine lobby and partner for local, national and European institutions, which participates in the interinstitutional decision-making process on production, sale and transformation of fresh produce. The Association Française des Maîtres Restaurateurs is an umbrella organization for establishments which have obtained the prestigious Maître Restaurateur award. Created in 2007 upon the initiative of the French Ministry for SMEs, Trade and Craftsmanship within the framework of the contrat d’avenir for the restaurant industry, the award recognizes the joint professionalism of a chef and their establishment. There are now over 3,800 holders of the award across France. Maître Restaurateur: Guarantees & Commitments The guarantee: The title of Maître Restaurateur is given by the State and awarded by the Prefect. It is based on an audit carried out by an independent body which guarantees high-quality, handmade food and verifies criteria including the professionalism and qualifications of the chef and waiting staff, the use of traceable and seasonal produce as well as entirely hand-produced cuisine made from basic and predominantly fresh produce. The commitments: A Maître Restaurateur also commits to ensuring low-energy consumption, low-carbon food, limiting food waste and producing less refuse. They prioritize short supply chains, seasonal produce and limit the use of imported products. They try to source as much produce as possible from eco-responsible businesses. Lastly, they pay particular attention to menu composition in order to provide healthy, balanced food which meets consumers’ nutritional needs. The Maitres Restaurateurs share the Goût de France Good France values and participating restaurants will take great pleasure in meeting you during a welcome apéritif before your French-style dinner! No More Plastic Foundation is a non-profit foundation in “start-up mode” focused on saving the one ocean that covers this planet by raising public awareness of plastic pollution, promoting alternative solutions to single-use plastic products and promoting innovative solutions to design tomorrow’s consumption. No More Plastic is working to achieve a world without plastic pollution. From March, for the Goût de France event, No More Plastic will offer the No More Plastic Box on its website, a subscription box where subscribers receive a different plastic alternative every month to show consumers that there are already many innovative, eco-friendly and stylish solutions to put an end to single-use plastic in our homes and kitchens. The funds collected by Goût de France Good France dinners will enable the No More Plastic Foundation to launch an awareness-raising campaign for children in May 2019 and go on an awareness-raising tour of French schools around the world (based on a selection of schools in the 150 countries participating in the Good France event). The aim is to send the message to the next generation that their generation could be the generation for change, teach them simple ways in which they can get rid of plastic, tips and tricks that they can then pass down to their own children. This tour will also be a possibility to discuss with the pupils the impact of plastic pollution on the environment, our health and the future of our planet. At the end of each session, the pupils will receive a glass straw with the No More Plastic turtle on it, as well as a No More Plastic VOICE FOR GOOD certificate to encourage them to become ambassadors for this planet that they must protect from ourselves and pollution. It will also be an opportunity to talk about the No More Plastic turtle which has an unusual shape. It has a narrow waist because its shell was squeezed by a plastic ring from a six-pack of beers. It didn’t prevent the turtle from growing but it deformed its shell giving it a strange shape. The turtle has gone from being an odd shaped specimen to the symbol of the fight against plastic pollution in the ocean. It is important for the No More Plastic Foundation to raise awareness among the new generation because they are the citizens, entrepreneurs, leaders and inventors of tomorrow and they will have their own chance to make choices for the continuation of humanity while better protecting the natural resources that keep us alive. The magazine for chefs and professionals who drive lively and passionate cuisine featuring candid interviews with cooks, producers and artisans sincerely committed to what they do. Reporting on work, key highlights and fun interviews. Supporting the day-to-day work of chefs and high-quality actors. Creating a platform for group discussions. Sharing the dynamism of a profession. Showcasing professionals of the land, the sea and service. Mapstr is a mobile app that helps people save their favorite places all around the world on a digital map. Users add their top restaurants, hotels, shops, and any kind of place they want to remember and share with their friends directly in the app. On Maptsr they can also find city guides from their favorite influencers, brands or media to always know where to go. During Goût de France’s event, Mapstr celebrates French gastronomy by making an interactive map of all gourmet initiatives happening from March 21st to March 24th 2019. Discover participants all over the world by checking out the map.